The second project of Sobha Dream Series, is located at Bellahalli, close to IT Parks, malls, hospitals, schools and colleges.17 Acres development Zen Theme, Clubhouse & Swimming pool with outdoor sports courts. 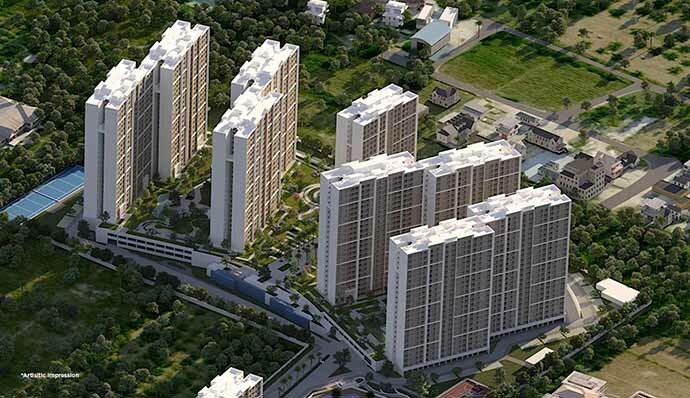 Established in 1995 by Mr P N C Menon, Sobha Limited is one of India’s premier real estate developers headquartered in Bengaluru. It has a presence in Gurgaon, Chennai, Pune, Coimbatore, Thrissur, Calicut, Cochin and Mysore... Overall, Sobha has a footprint in 24 cities and 13 states across India. The company has also executed projects for some of India’s top corporate houses including Infosys, WIPRO, HCL, Dell, Bosch, Biocon, Taj Group of Hotels and ITC Hotels. Sobha has completed 102 real estate projects and 262 contractual projects covering about 70.54 million square feet of area since inception. Currently it has ongoing residential projects aggregating to 41.81 million square feet of developable area, 26.59 million square feet of sellable area and ongoing contractual projects aggregating to 9.31 million square feet under various stages of construction. 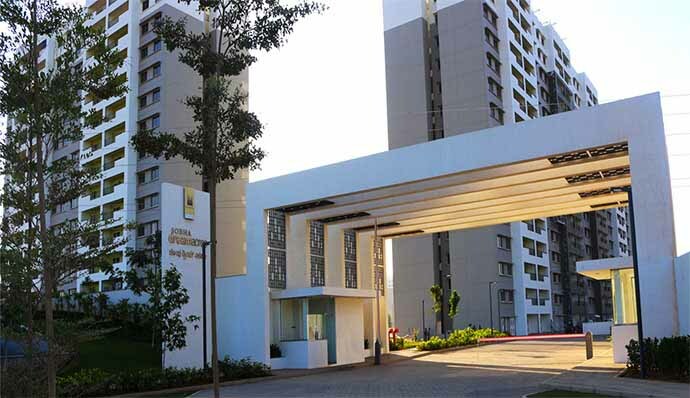 Through the years, Sobha has established a reputation for high quality and premium constructions essentially because of its no-compromise attitude in all aspects of construction, maintenance, and management of properties. What is it that makes a perfect ghar for you? You want your children’s school close by, you want your wife to have great friends, you want your parents to feel secure, you want the plumbing in your house to be perfect. you want the painting to have superior finish, you want all amenities at hand, you want your locality to be well-connected. Because, you know that a perfect home means total peace of mind and therefore, a perfect life.